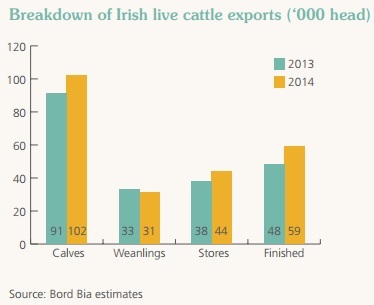 The outlook for live cattle exports in 2015 appears broadly positive, according to Bord Bia’s Export Prospects and Performance Report 2014-2015. It says demand for calves for veal production is likely to be strong this year. Bord Bia highlights that milk replacer, one of the main production costs, has fallen significantly in price and the demand for veal is steady in most markets. Bord Bia notes however that in the early spring, some additional calves may be held on farms to use up surplus milk until EU quotas end on the April 1. It also says the Dutch veal beef sector has a preference for younger calves aged 3-5 weeks. Exports of older, stronger calves tend to focus on the Spanish market. Bord Bia forecast that demand for Irish and EU livestock from markets in North Africa and the Middle East is expected to strengthen in 2015. 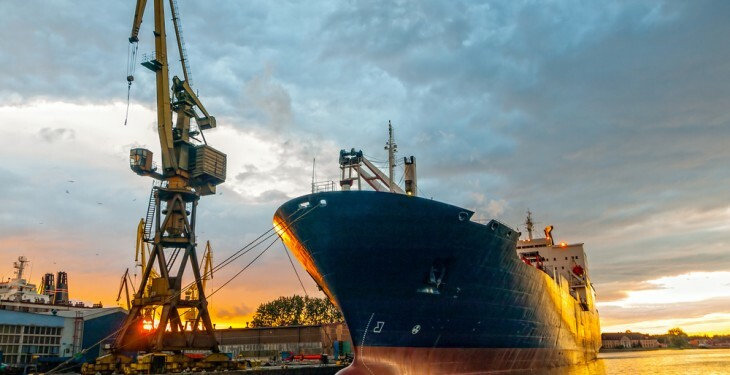 It highlights that a number of walk-on, walk-off vessels have recently been inspected by the Department of Agriculture, Food and the Marine and are at an advanced stage in the approval process. 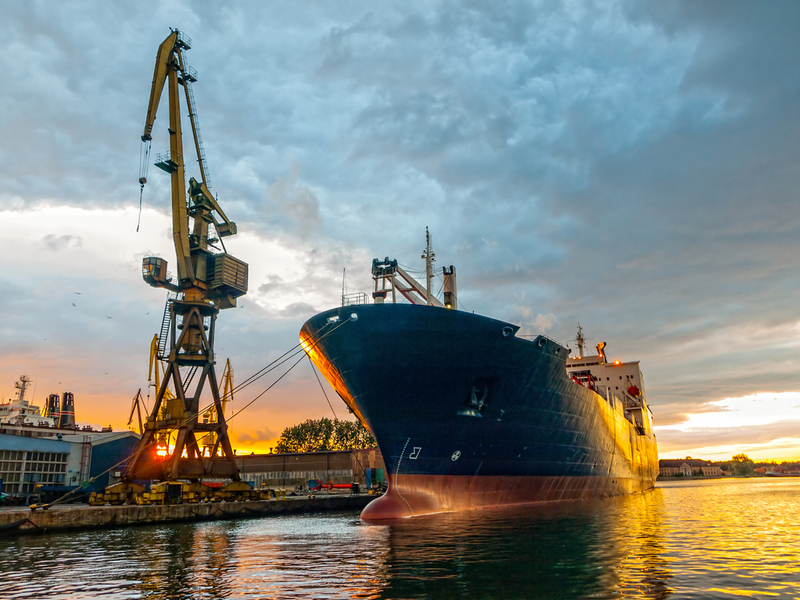 Irish exports are expected to focus especially on the Libyan market. However, Bord Bia says turkey also looks likely to open their borders to EU animals. It says this factor had a significant impact during 2011 and 2012 when Turkish demand caused EU prices to rise considerably. Total live cattle exports up to the end of December were 13% higher than during the same period in 2013 at 237,000 head, according to Bord Bia. It says shipments of most categories of stock increased. The number of calves exported jumped by 12%, while exports of weanlings and stores were collectively 7% higher. Similarly, the number of adult or finished cattle exported increased by 24%.